Join Hardy Jones in his crusade to protect dolphins in NATURE’s The Dolphin Defender. Nearly three decades ago, filmmaker Hardy Jones became fascinated by wild dolphins. Even though many said it couldn’t be done, he set out to film these sleek sea mammals in the open ocean. Along the way, he became closely involved with his subjects and came to appreciate dolphins as highly intelligent creatures worthy of careful protection. Eventually, Jones turned his camera into a tool for conservation. He filmed dramatic dolphin hunts, and the documentary footage made headlines and sparked international protests. Jones also discovered the effects of chemical pollution on dolphins and orcas, the largest species of dolphin. He came to realize that threats to these marine mammals were threats to the ocean itself, and to us all. Now, in NATURE’s The Dolphin Defender, Jones shares some of his most dramatic and beautiful images, and tells the moving personal story of his journey into the world of dolphins. It is a memorable voyage revealed with the energy and elegance of the dolphins themselves. Βίντεο από το ντοκιμαντέρ όπου παρουσιάζεται διάσωση δελφινιών. 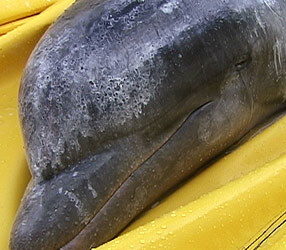 After the Nicaraguan government finds out that two dolphins have been captured for a "swim-with" program at a resort hotel, rescuers are dispatched to track them down. Hardy Jones, featured in "The Dolphin Defender," brings his camera. The rescue team finds that the captors have abandoned the dolphins in a cesspool of their own excrement. Racing against the clock, they rush the dolphins back to the waters where they were captured, hoping they will be able to reconnect with their pod. 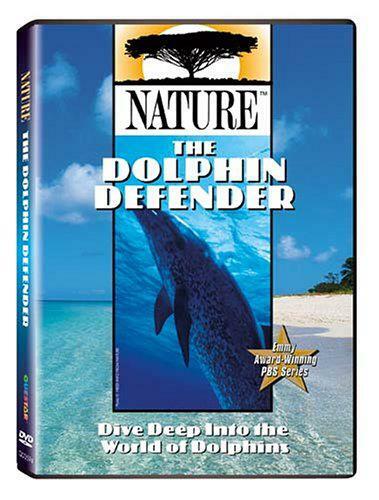 "The Dolphin Defender" is part of the 26th season of the Peabody and Emmy award-winning series produced by Thirteen/WNET New York for PBS. Major support provided by Canon U.S.A. Inc., Toyota, SC Johnson, and the Corporation for Public Broadcasting. Dolphins are wildlife filmmaker and ocean conservationist Hardy Jones’ life’s work. What started as a quest to communicate with these beautiful, friendly and intelligent creatures became a 25-year crusade to protect dolphins against Man’s greed. How effective can a man with a camera be in giving dolphins and killer whales a fighting chance to survive against fishermens’ nets, captivity, environment destruction, and horrific, senseless killings? Dramatic and beautiful images tell Jones’ moving story, and transport you as never before into the world of dolphins.